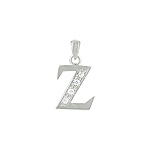 Highlight your individuality with this beautiful and chic sterling silver alphabet pendant. 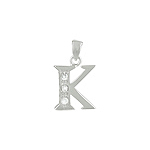 Match your name with the letter. 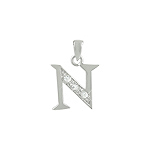 Can be worn as a pendant or as a part of a bracelet or even an anklet. 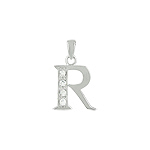 The price of this pendant is a nice surprise as well. 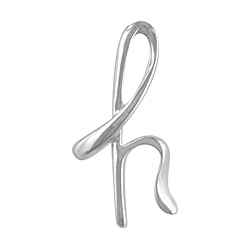 This handwriting lower case letter "h" pendant is beautifully crafted in 925 sterling silver. 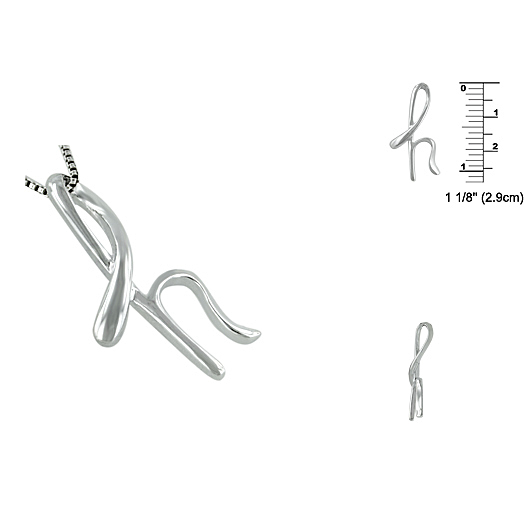 It measures approximately 1 inch (25 millimeters) in height and 7/16 inches (11 millimeters) in width. 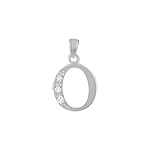 The pendant has a high polish finish that highlights its shine. 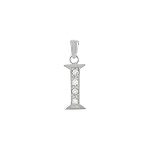 The exquisite design allows a 1-3mm chain to go through the top part of the pendant creating a unique look for your enjoyment.